We see this emphasis on narrow self-interest in other areas too, such as the EU’s plan to ban mobile phone operators from charging exorbitant roaming fees for making calls from other member states, as though the ability of predominantly middle class holidaymakers and business travellers to call and text more cheaply somehow makes up for the erosion of our democracy and national sovereignty. [..] The Left’s anguish over the prospect of British secession from the European Union has nothing to do with any overriding concern about Britain’s future, or the plight of the unemployed or the working poor. No, it’s simply a collective howl of outrage from a cosseted and sheltered middle class clerisy, terrified at the prospect of losing out on a raft of perks which disproportionately benefit themselves at the expense of everyone else. Little did I know then that the “Remain” campaign would be so intellectually bankrupt, so totally lacking in good ideas or a positive argument for greater European integration, that the cheap gimmick of cheap international phone calls would be raised up as their openly stated chief benefit of staying in the EU. Here are eight ways that the British economy and British families are stronger in Europe. 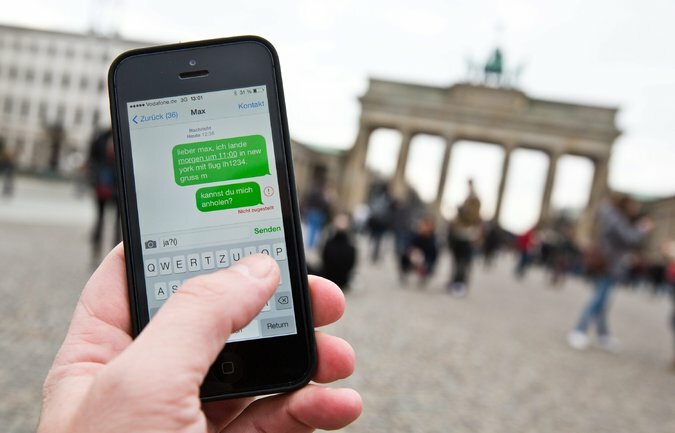 The cost of using your mobile abroad dropped by 73p for every pound between 2005 and 2011 thanks to an agreement on roaming charges . And they will be scrapped entirely by June 2017 after the EU forced companies to give a fairer deal. Unimpeded bike rides and cheap mobile phone calls. This, apparently, is the best that the pro-EU side can muster as both sides fire their opening shots of the Brexit referendum. This, together with the gradual re-emergence of left-wing euroscepticism as a noteworthy force in British politics, give me hope that the eurosceptics may yet carry the day. [..] with the advent of smartphones and wifi which is free to use, while it’s a marginal benefit to have no roaming charges, I don’t see why this comes to the top of their list of reasons to stay in the EU. It certainly benefits the eurocrats on large salaries jetting off to Brussels and Strasbourg once a month, but I really couldn’t give a tinkers damn. But then the fact this comes to the top of their list actually tells you something more fundamental about Will Straw and the Remain campaign. I remember well the campaign mounted by the europhiles to get us to join the ill fated euro currency. They pulled the same trick then saying that it would save us all the inconvenience of having to change money when we go on holiday. The message here is that you are an ignorant pleb incapable of understanding the larger ramifications of surrendering our currency and will vote for it on the basis of convenience when we take our package vacations to Spanish seaside resorts. As patronising as it is, is actually shows these misanthropes really do hold us in contempt. Do they really think we’re going to base our vote on whether we can make a cheap phone call? I’m with Pete. Is this really the best that the pro-EU side can do? Do Will Straw and the shambolic “Remain” campaign really think that the British people are so stupid that their votes can be bought with the cheap bauble of low cost mobile phone calls? And worse still, if they really mean what they say, are they really willing to barter away British sovereignty – our right to national self determination – over such trinkets as these? At best, this is an argument for continued European and international competition, and of the importance of removing barriers to trade and competition. But why do we need a European Parliament – a legislature being the quintessential expression of a nation state – to successfully co-operate to bring about cheaper phone calls? Why do we need European Courts which can overrule our own UK Supreme Court on any matter in order to liberalise energy markets? Is Will Straw really so dense that he cannot see the ulterior motive at play? Does he honestly not see that the warm, fluffy waffle about international co-operation is just a smokescreen for the deliberate construction of a European superstate with all of the functions and institutions of a nation state? Of course not. Will Straw knows exactly what the EU is now, and what it is very likely to become in ten, twenty, thirty years’ time. But he also knows that the British people would never vote for this vision of Europe – of Britain as nothing more than a small star on the EU’s flag. So Will Straw has to lie about it. He has to pretend that the political union currently in the process of devouring twenty-eight sovereign countries is a happy, friendly creature which does nothing but bring low-cost flights and cheap mobile phone calls. That’s what the “In” campaign think of the British people and their capacity to grasp what is at stake in this referendum. Take what you want from that lesson.